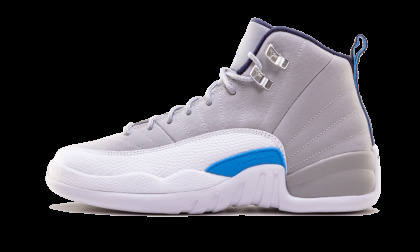 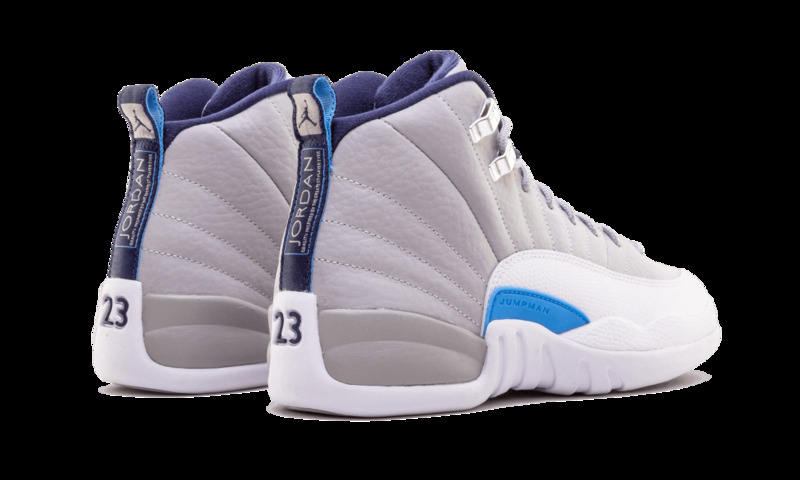 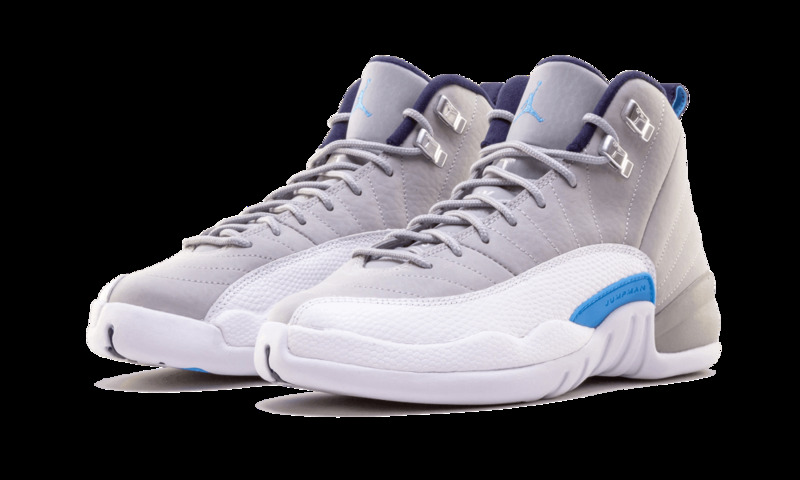 One of the brand-new Air Jordan 12 colorways released in 2016 during the model’s big comeback year, this clean colorway features a Wolf Grey nubuck upper with white toe panels and University Blue accents. 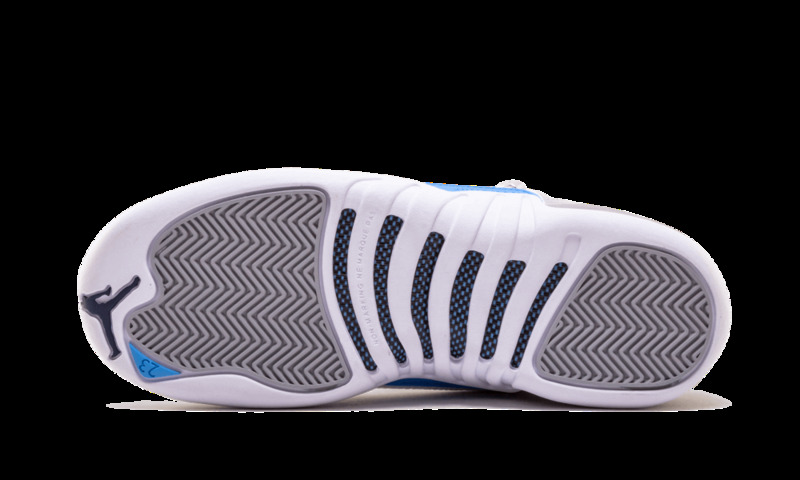 Often referred to as the “UNC” colorway due to its similar color scheme to Michael Jordan’s alma mater, University of North Carolina. This listing is for Grade School sizing.